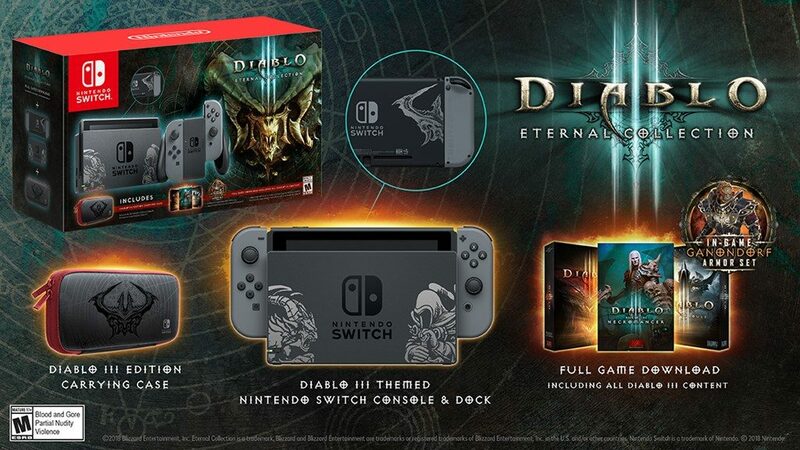 Nintendo of Europe has informed all retailers in France the total number of Nintendo Switch Diablo III Limited Edition systems arriving at launch. On November 2, 10,000 units of the Nintendo Switch Diablo III Limited Edition will be available in France. This makes the Diablo III Limited Edition the Switch bundle with least availability, at least in France. For comparison’s sake, last month’s Fortnite bundle had 18,000 systems at launch, and the upcoming Nintendo Switch Super Smash Bros. Ultimate set will have 30,000.